New Year Resolution.....Eat Chinese Desserts, Drink Wines......Then Think about Diet! To start with the lighter flair, this pine nut brittle is made out of egg white, corn starch and corn syrup. The texture of this brittle is crispy, nutty and not too sweet. Just in case you are not aware, Chinese people are very good at turning any nuts to brittles.....cashew, peanut, walnut, almond, hazelnut, pecan. Usually the outcome of these Chinese style nut brittles is lighter, not so sweet, and in some cases, infused with Asian flavors like sweet osmanthus (gui hua 桂花) or jasmine. and easy to eat at anytime during the day. Dim Sum enthusiasts probably are familiar with this dessert. Although the color of this water chestnut cake is a bit on the paler side, the Cantonese cousin, which you typically see in Dim Sum restaurant, is yellower and a bit greasier. It is made in a larger loaf and is cut into smaller squares and pan-fried. Whichever water chestnut cakes you have a chance to try, they won't be disappointed! These buttery pastries are stuffed with ingredients that are called for making Christmas fruitcake. There are nuts and dried fruits (e.g., dried apricot, dried cherries, raisins, minced cooked nuts) inside that blast your taste buds with wholesome goodies. What is so unique about this little pastry is its light and fluffy texture....not heavy but moist. The trick to achieve this greatness is all in the delicate balance of the amount of oil or butter used to make it fluffy and moist without drowning it with grease. The layered crepe cake has gained so much popularity due to the indirect advertising from food trends in magazines and TV. This 26-layer green crepe cake is fully made from scratch, without cheating with store bought crepes. Hey folks, other than having an additional kudos given to this dedicated baker, there is nothing wrong with using store bought crepes. Anything goes as long as you make a crepe cake, right! Until now, you probably get it that this layered cake is also not on the super heavy and sweet side, just like other sweets we talk about so far. One of the Chinese bakers proclaimed this cake probably cost $59 in NYC.....we were lucky to eat it for free! If you don't like green tea, I totally can see you sticking with the tradition to spread regular vanilla cream in between crepes. To add a tropical version of this crepe cake, I can see you using a mango mousse in between crepes to make some sunshine! The cake-bake was so much fun to kick off the New Year! Wait......we need to top the Chinese dessert experience with some vinos! Riunite Moscato is my go-to party wine that will pair well with all these magnificent Chinese desserts. Not only is this Italian Moscato affordable, it is also fruity enough to compliment these desserts. It has a bit of weight, but not too much; a perfect balance of dryness and sugar that makes it so easy to pair with mild desserts. Of course, if you decide to have a slice of black forest cake made out of 72% cacao chocolate, forget about this wine, as you need to drink a Merlot or Pinot Noir to weigh down your choice. This Moscato baby could competently handle the light desserts! I repeatedly have said it before - never mention pairing Riesling with Chinese food. It is boring and not creative. However, we are talking about Chinese desserts that are influenced by the American baking twists here. I have to say this Riesling from Mosel does the trick to pair well with the desserts introduced, by having notes of green apple, lime and citrus. The ripe peach flavors are balanced with lovely acidity and a nice bit of sweetness. This bargain find will not disappoint, either pairing it with Chinese desserts or drinking it on its own! OK....before you work on your New Year Resolution to go on a diet, motivate yourself ONE MORE TIME with these to-die-for Chinese desserts and great wines that mean to impress! Remember, life is too short not to drink wine with Chinese food! My obsession with food stemmed from a very younger age when I grew up in Hong Kong, the culinary capital of Asia. Since I could remember, my family in Hong Kong ate out a lot and often went to any random local seafood restaurant, picked a live, swimming fish from the large fish tank (sometimes from a plastic bucket if the fish just arrived from the fishmonger), and asked the chef to steam the fish as one of the many dishes we ordered for dinner. 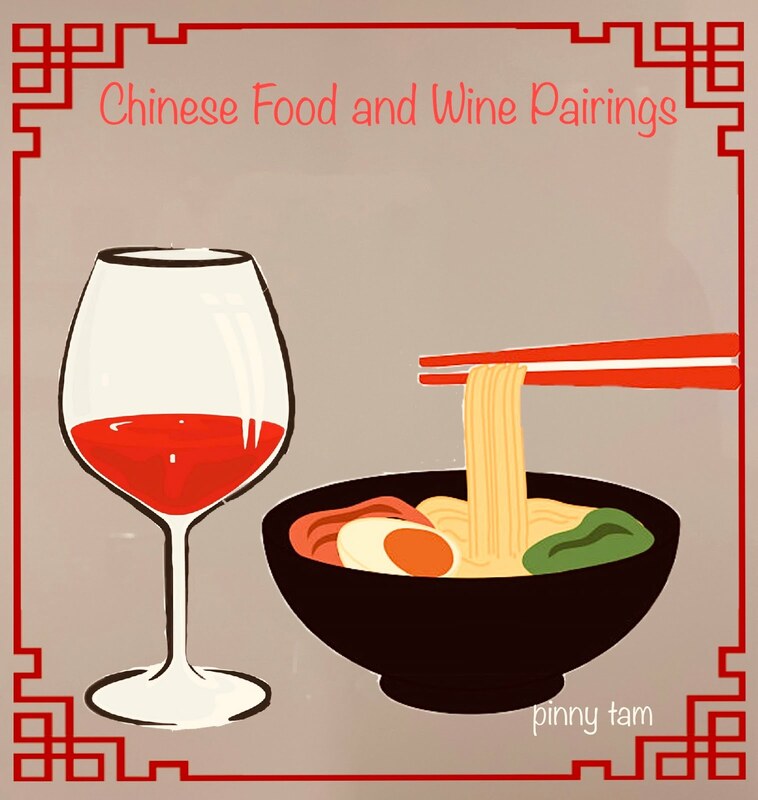 After I moved to US many years ago, I wasn't entirely convinced that Chinese food seems to pair well only with Riesling or Gewürztraminer, and started experimenting wine pairings with various styles of Chinese food. I am pleasantly surprised that I have been able to do some amazing pairings, impressing myself and my enthusiastic friends. To happily share the results of all these "experiments" and passion about cooking and eating Chinese food, this blog was born. P.S. 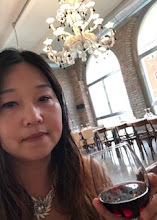 I passed the WSET (Wine and Spirits Education Trust) intermediate exam in December 2012 and completed the CSWS Intermediate Level Course in 2018.